Two property owners and Western Reserve Land Conservancy have teamed up to permanently preserve 117 acres in Geauga County. A 74-acre tract in Newbury Township and a 43-acre parcel in Huntsburg Township have been permanently protected by conservation easements secured by the Land Conservancy. A conservation easement permanently protects the natural, agricultural and scenic resources of the land while allowing the grantor to retain ownership. 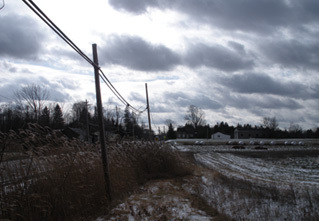 “We are extremely pleased to help these property owners protect their land for future generations and also to help Geauga County retain its rural character. Our mission is to preserve land,” said Brett Rodstrom, Northeast Field Director for the Land Conservancy. In Newbury Township, Mary Angela Cavanagh Lewis donated a conservation easement on 74 acres at the corner of Bell Street and state Route 44. Lewis lives in New Jersey but was passionate about preserving the land, which has been in her family for several generations, according to Rodstrom. A cousin, Auburn Township Trustee P.J. 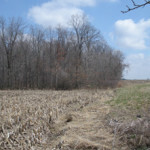 Cavanagh, will continue to farm the property, growing corn and hay. The property includes a heavily wooded section where his brother, Michael Cavanagh, collects sap from the maple trees and makes syrup each spring, and will continue to do this on the property. 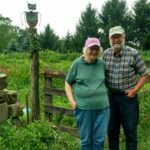 In Huntsburg Township, Stanley and Josephine Downing permanently protected 43 acres on Clay Street. 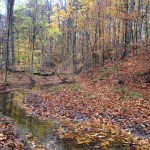 The wooded property, which contains a pond, is located in the Upper Cuyahoga River watershed.